A new, ready to use heat-resistant white paint that is non-yellowing at elevated temperatures for a wide range of coating applications is being introduced by Dampney Company, Inc. of Everett, MA. Thurmalox® 290-00 Heat Resistant White Paint features a proprietary formu-lation that prevents yellowing at up to 1,200°F and is suitable for a wide range of indus- trial, commercial, and consumer product applications. Unlike conventional high-heat white paints that yellow at elevated temper-atures, this paint remains white and will not chip, crack, or peel. 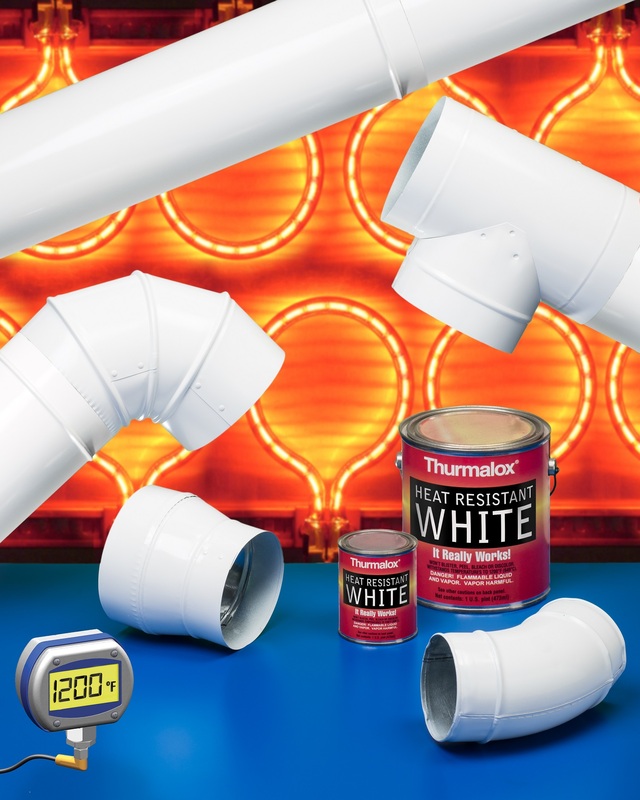 Designed for vent pipes and other parts exposed to 1,200°F, Thurmalox® 290-00 Heat Resistant White Paint can be used with Dampney’s clear gloss top coat to achieve a porcelain-like finish. Ideal for wood stoves, BBQ grills and smokers, chemical plants, refineries, process vent piping, and more, this paint is not intended for direct contact with flames. Thurmalox® 290-00 Heat Resistant White Paint is available in 5-gallon pails, gallons, quarts, and aerosol spray cans; priced according to packaging and quantity. Price quotations are provided upon request.